These guys still have what it takes to be on radio. 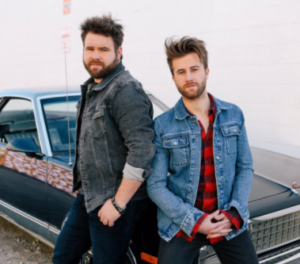 The Swon Brothers found success on The Voice a few years ago. There found a little niche with fans. They didn’t wow you with crazy vocals or anything like that, but they had great songs and a friendly nature. It was good. And they signed with Arista and found some success there as well. A top 20 hit at radio and another that just missed out on the top 40. Since then, though, things have been pretty quiet. I know the guys parted with Arista. It looks like they’re still out on their own, but they have a brand new EP and single. This is a good song. It’s catchy. It’s about something that a lot of us can relate to. You have that person in your life that kind of toys with your emotions. They call you, but they only call you with mixed messages. Do they want to be together? Do they want to just hang out and then breakup again? It can drive a person crazy. If you’ve been in this situation you’re not alone. You’re kind of in the friends or just hanging out zone. You’re not sure if you can go down that road again. I would say this is a step forward for The Swon Brothers. They’ve always had great style, but this is a good song. I could see it getting some attention and maybe getting them another shot with a major label. Loved this song from the 1st time I heard it. The entire EP is great! Their best effort yet.